How Modern Bakery Equipment Can Produce Artisan-Style Bread That Looks and Tastes Homemade | Naegele Inc. The terms artisan and industrial seem to be polar opposites, especially when it comes to bread production. But this dichotomy is based on an outdated idea of what bakery equipment can do. In fact, today’s industrial baking equipment can be designed and built to produce artisan-style breads that are indistinguishable from products made by human hands. Here are four ways modern bakery equipment has been modified to handle looser, wetter artisan bread dough, enabling industrial lines to produce products that look and taste homemade. Artisan bread doughs are fragile. The dough sheets can stretch, which affects product quality and weight control. That’s why equipment designed for artisan-style bread eliminates falling heights between machines and conveyors. Artisan doughs have a very high water content. This means they must be supported throughout the entire processing line. 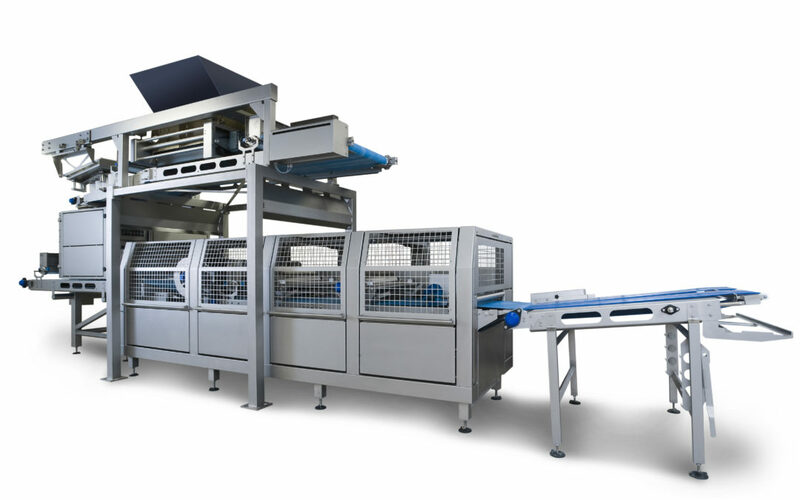 On many traditional lines, the dough feeding head has two sets of vertical rollers, and gravity is enlisted to help form the dough into a sheet. This same process won’t work for artisan dough because gravity will cause it to stretch and break. 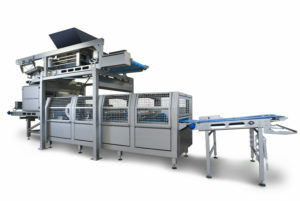 Dough feeders for artisan breads, like the one on the Kaak Group’s DrieM sheeting line, have three sets of rollers that can be adjusted horizontally so that they are offset. This roller position provides the dough with the support it needs to keep its integrity as it’s being formed into a continuous sheet. Cross rollers are used during the reduction step to widen the dough sheet. On a traditional line, the cross rollers do this by pressing down on the sheet, a process that would degas an artisan dough. Instead, artisan lines use a uniquely engineered reduction head and cross roller that gently reduce the dough without pressing or pulling it. This helps the dough maintain its desired crumb structure. Finally, artisan loaves are often scored on the top. This allows them to expand during baking. While many commercial and even industrial bakeries still do this by hand, automated scoring systems are becoming more common. These systems have sensors that take the dimensions of each loaf and then score them individually to produce consistent results.